Note: Dual boot is not a feature suitable for regular users currently. It is recommended to be installed only by developers who are comfortable with flashing devices and with their partition layout. Fantastic! can't wait for a stable release. Looks great! Waiting for the release. sweet! 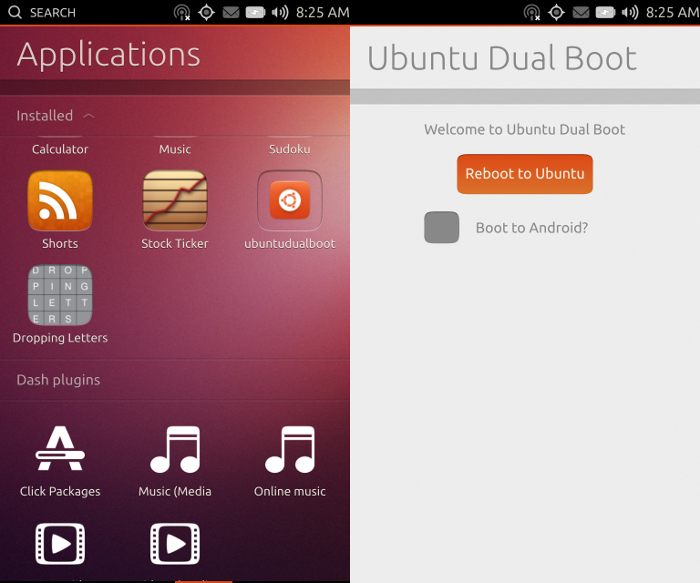 I wish I had a nexus phone, would love to give Ubuntu and stock Android a spin (although I'm unlikely to ditch WP).